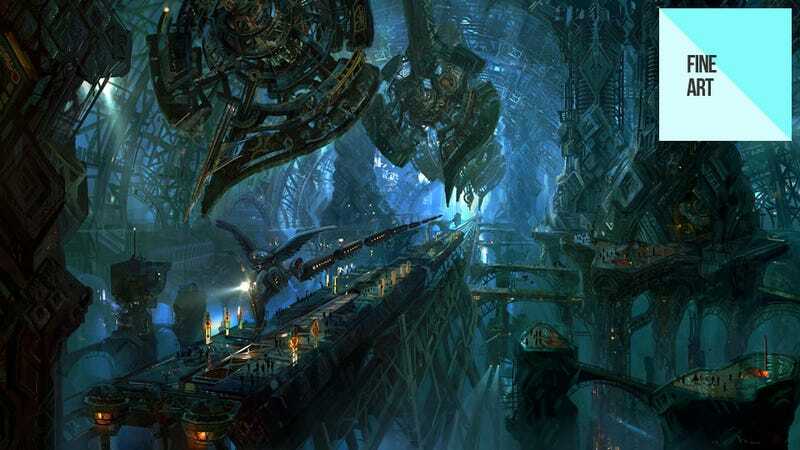 You probably don't know him by name, but you'd know him by his work: Christian Lorenz Scheurer has provided concept art for movies like The Matrix, Titanic and The Fifth Element. Which is all well and awesome, but we're more interested in the work he's done for video games. Scheurer has been involved in a number of game projects over the years, with titles as important and diverse as Spore, Final Fantasy IX, Lost Odyssey and Diablo III on his resume. Sadly his Diablo III work isn't yet available, but a lot of his other stuff is. And you'll find it in the gallery above. If you'd like to see more, Christian's personal site is linked below.